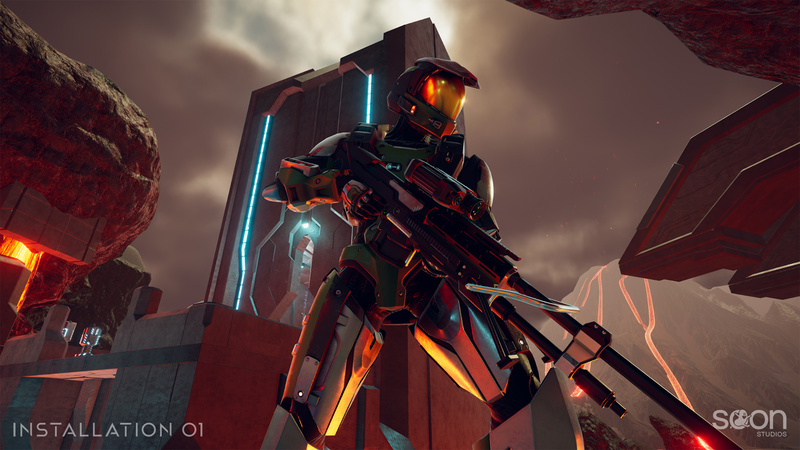 Welcome to the wonderful world of Installation 01. I am GameSyns, or as everyone seems to be calling me, Tosh 2.0. In this update, we’ll be taking a closer look at some new additions to the i01 corporate fleet, taking a close look at the warehouse forklift, and going back in time. So go ahead and grab yourself a cup of your favorite drink and check out what the team has cooked up this week! Remain seated please. Permanece sentado por favor. You’ll notice the bull bar on the front and the light bar on top. This specific model is based on the NMPD Genet vehicle. Now you won’t be able to hop in this car and splatter your friends while making the sounds of a police siren with your mouth. But you can still admire it while you shoot your friends, you could even use it as cover as well. Now don’t get too excited, remember, this is only a car; but here is the back end of it. It even comes with a license plate frame, how convenient! I don’t have any 0-60 figures on this bad boy, but I can guarantee you, if the NMPD chose it, it should suffice for any Spartan. 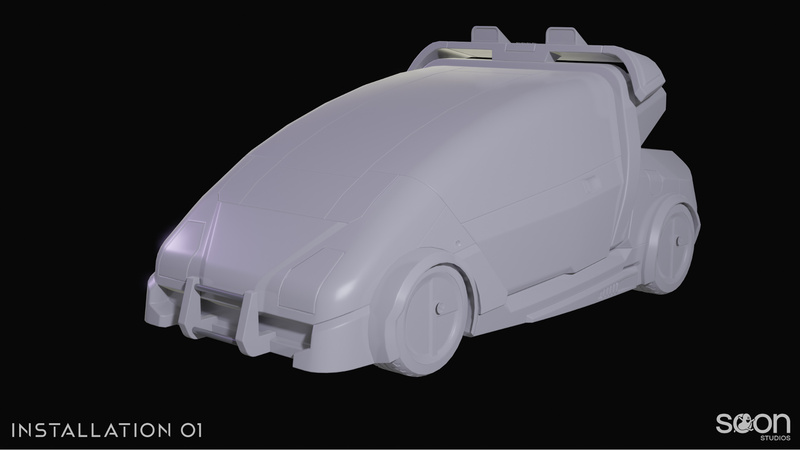 You can thank our modeler, Ghost0fDawn for this sweet machine for the streets of i01. You can send your love letters to [REDACTED]@installation01.org <3. 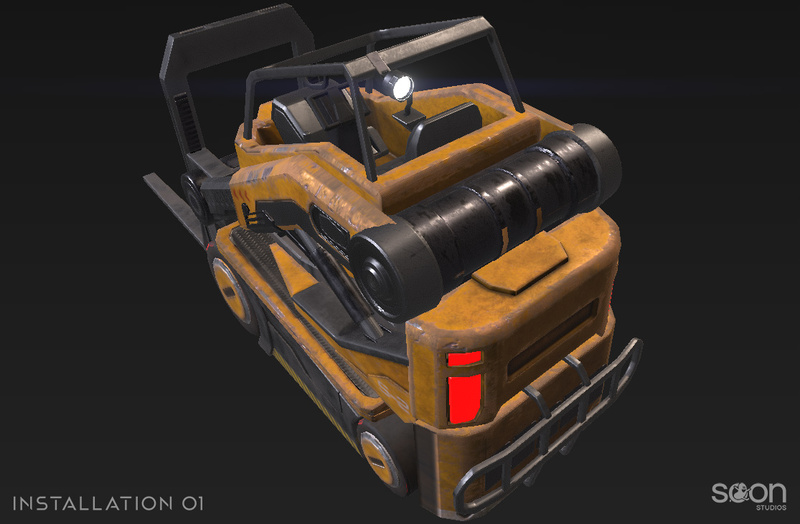 We’re excited to bring you more info on this vehicle in the future. Another vehicle? Well, not just any vehicle, but the one, the only, forklift! Now, this is still a work in progress, but it does have the textures on it at least. GeoBirb, one of our modelers, put this staple of the universe together for us. And our texture artist, Jibrail, took it to the paint booth and made it a requirement for any good map to have. 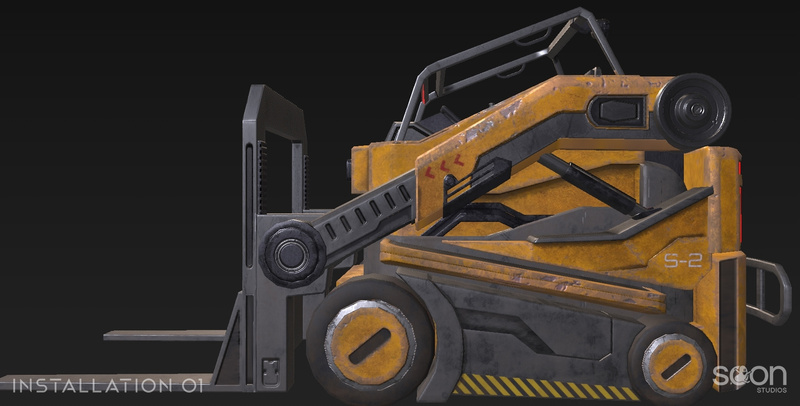 If a map doesn’t have a forklift on it, is it really even a map? Jibrail: “For the Forklift, we tried to not stray too far from H3 and Reach in style. Once the model was done GeoBirb started UV unwrapping the model to make it ready for texturing. 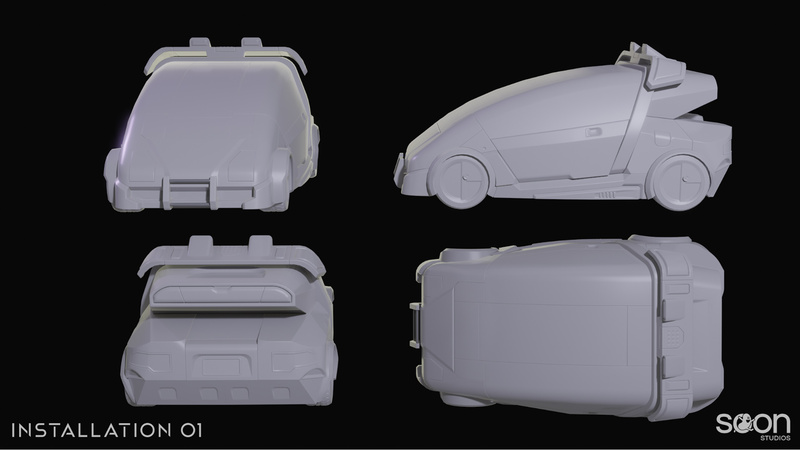 One of the things we both agreed on was that we wanted to cram all the detail onto a single UV map and not split it into 2 or more as we sometimes do for larger objects such as vehicles. The challenge here is to keep it optimized from a texture memory standpoint while also not sacrificing high quality and crisp textures. 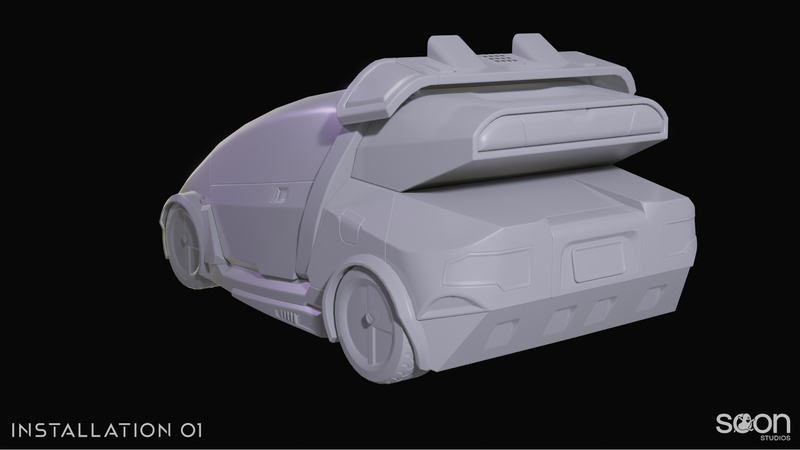 It took us some time and a lot of work back and forth to utilize the UV space to its maximum potential, there is a lot of smart mirroring, giving priority and more of the UV space to the more visible meshes and faces of the model. The model uses 3 materials: rubber, bare metal and painted metal. The rubber is mainly used for the interior of the model such as the wheel and seat as well as the tires. The bare and painted metal cover up most of the exterior. I used two variations of the bare metal; a light one and a darker one to break up some of the mechanical parts. For the most part, the painted "industrial orange" color covered the main body of the vehicle. Well, that was a lot of jib-berish I didn’t quite understand, but the WIP product is something I can understand. And I know that all of that work has made me and (hopefully) you, quite happy to have this masterpiece in game. We are looking for several new slav… errr, team members. If you think you got what it takes, click the button below. Feeling lazy, well, that's a bad start, but I guess I can tell you what we’re looking for. We are looking for QA Testers, Programmers, VFX Artists, Lighting Artists, Sound Designers, Animators, Concept Artists, and 3D Artists. Join us, shall you? Sometimes you gotta go back to the roots of your dearest leaders to find out what drives them. Bean, however, is one of those leaders you really don’t want to go back to find that out. 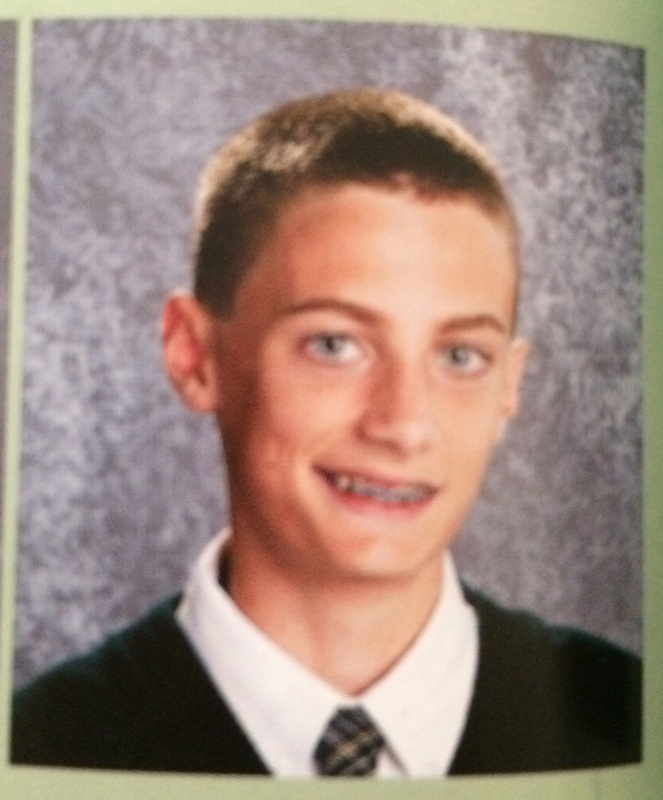 Stuff like this yearbook portrait will haunt you during your quest. Anyways, that’s gonna conclude our weekly update. I enjoyed being here and hope you guys enjoyed reading about our newest toys. Be sure to go check out our Instagram page @installation_01 for some extra content you might have missed! Next week we’ll be back with some sweet stuff, and who knows, will it be Tosh or I delivering the bad jokes? Thanks for tuning in. Be sure to like, comment, and subscribe. Woooo! Forklift! Now for the question we are all asking: Can we move the lift on the fork lift? 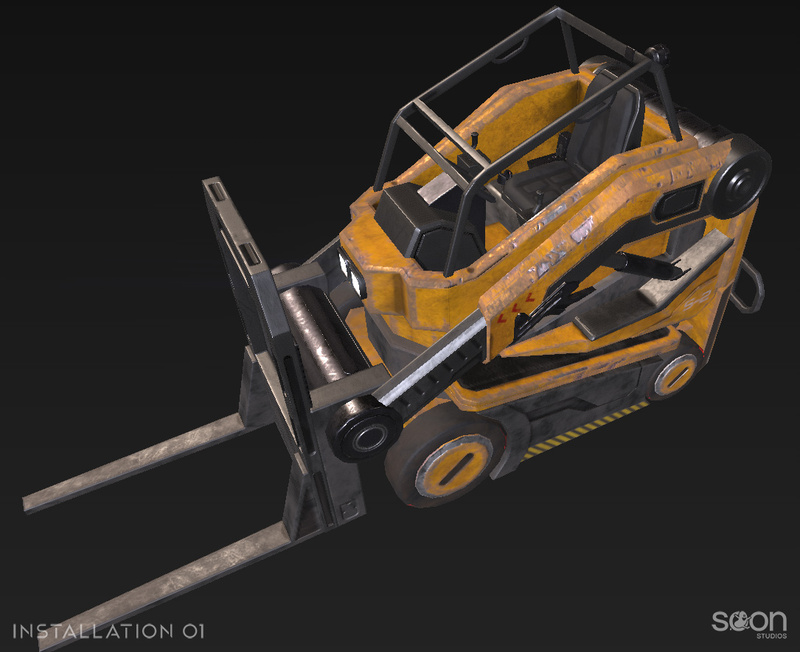 Great work on the Civet and Forklift, they look spot-on! Sad the Civet isn't playable..
Man, each update gets me now hyped. You guys do some great work! Do you guys plan on adding any Halo Wars vehicles? i was gonna make a car pun, but not knowing any is really DRIVING me up the wall! There’s something about all those plain white renderings that is just extremely satisfying to look at. I can’t be the only one right?